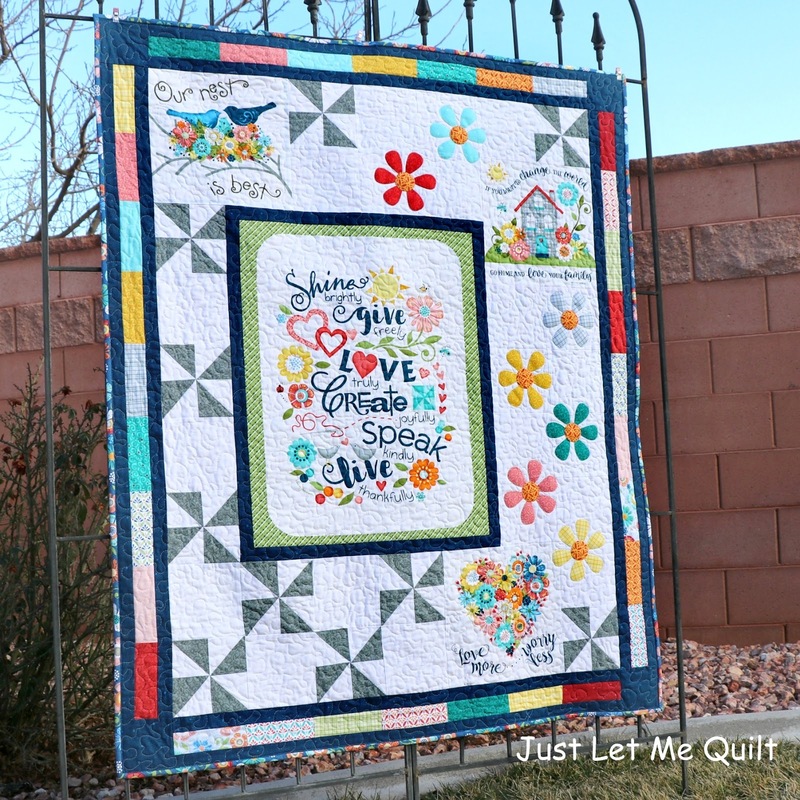 start in February with the blocks from Sew Incredibly Crazy. They were adorable! This month is my turn to share a bit of Saint Patrick's Day fun. 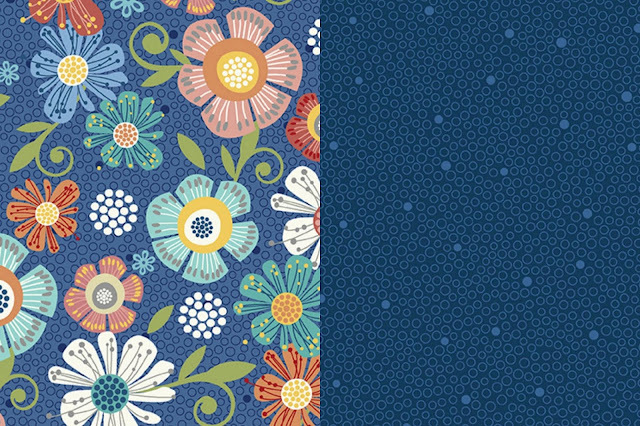 Benartex has a new line of fabric, Home Grown by Nancy Halvorsen, that is so beautiful. 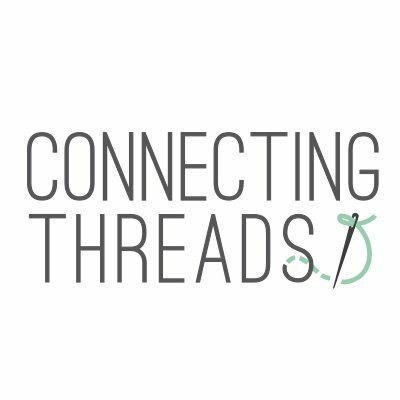 I feel so lucky to have been able to join this blog hop and sew with Home Grown! of the panel in my quilt , 20 fat quarters, and two different fabrics for borders and binding. Quilt measures 42" x 52"
Such a pretty heart of flowers in this panel! 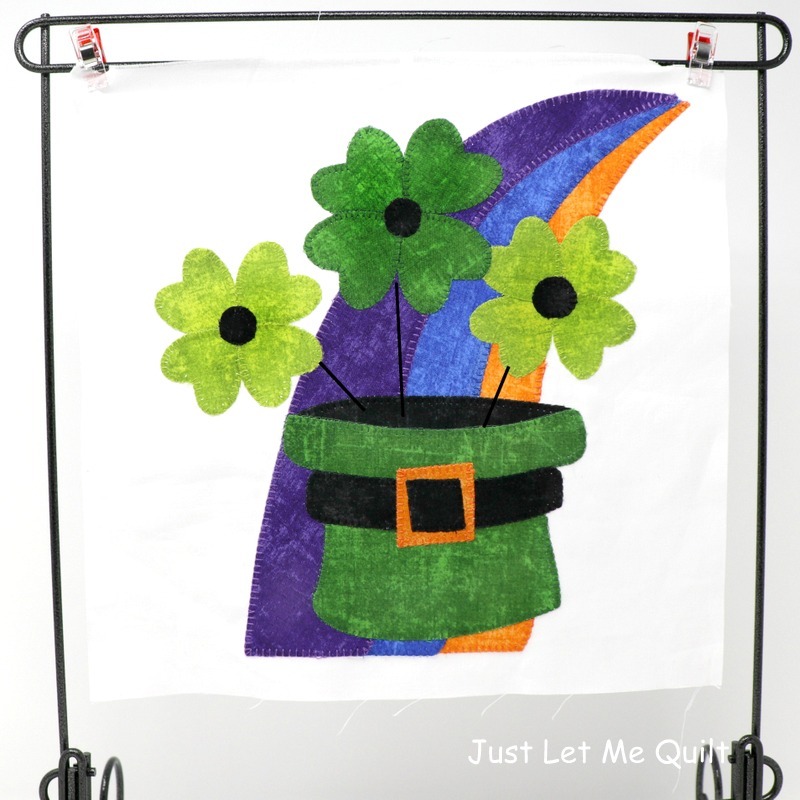 Benartex is offering a giveaway of 8-10 fat quarters of Home Grown prints. THE WINNER IS #65, NANN FROM WITH STRINGS ATTACHED! 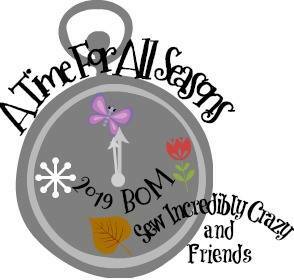 The giveaway ends at midnight MST March 1, 2019. Leave one comment for entry in the giveaway. The pattern for Shine, Love, Create can be found in my Etsy store HERE. 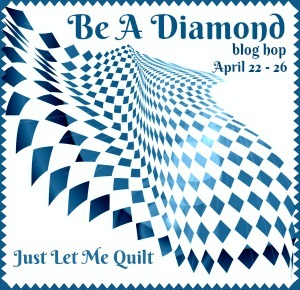 Yep, there are still spots available for the Be A Diamond blog hop. It's easy...just send me an email saying you'd like to be a part of the hop. a diamond ring, a diamond in the sky, or whatever diamond rings your bell. Your name could be among these amazing bloggers...come on, you know you want to play along! 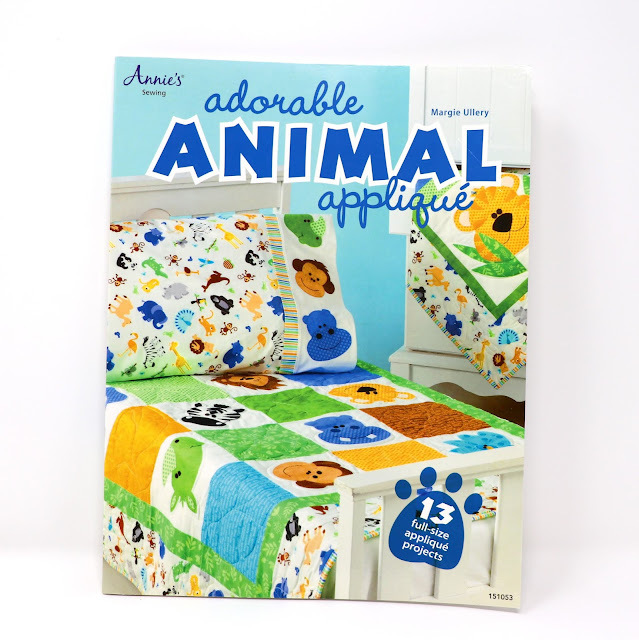 the book I dusted off for a project was "Adorable Animal Applique" by Margie Ullery. in creating applique designs. 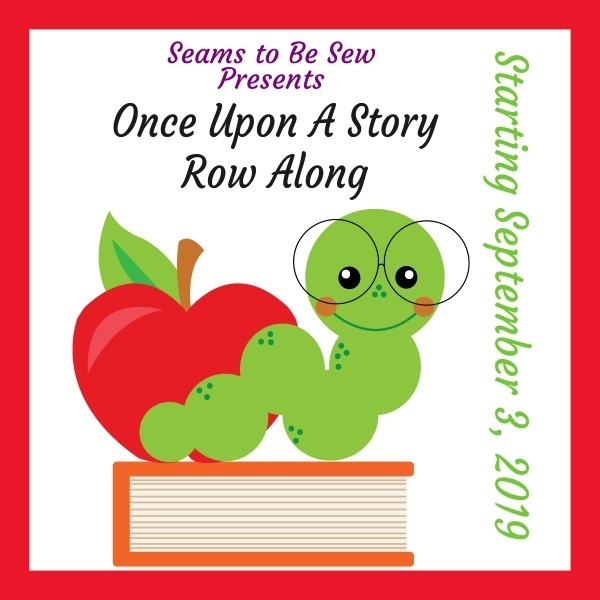 There's lots of cuteness in this book! This was the quilt I made at the Bernina class from her pattern, Hoots Hollow. 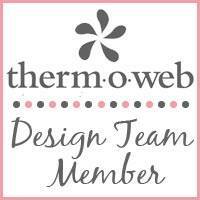 Don't forget to visit these blogs, too! are just sitting there waiting for you to make something creative from them! It's been an incredible week full of wings, wings, and more wings...I loved it! enjoying each and every project. Thank you to all who participated and visited! I went a little steampunkish with my wing project and had so much fun with it. 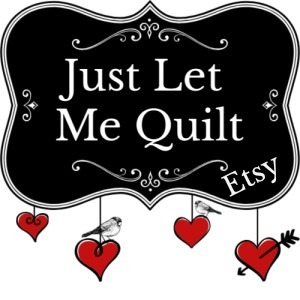 The quilting was done by Quilted Works...they did such a great job! I can't wait to make another steampunk project. It really was enjoyable to make! The winner is #4 - Tinks Mom...congrats! $20 certificate to go shopping in her store. Corrie's service is fast and reliable...love her and her store! 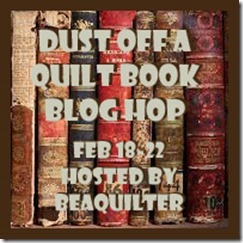 I hope you enjoyed the blog hop. If you want to join in next time, click HERE. and I was flying high with all the inspirations that was shared! Yesterday just flew by with all those wings flapping around...I loved them all! Did you get a chance to take a peek at all those wings?